Home > Articles > THE GOOD DOCTOR Episode 1×10 “Sacrifice” Photos: Does Shaun Need Help With His Personal Life? 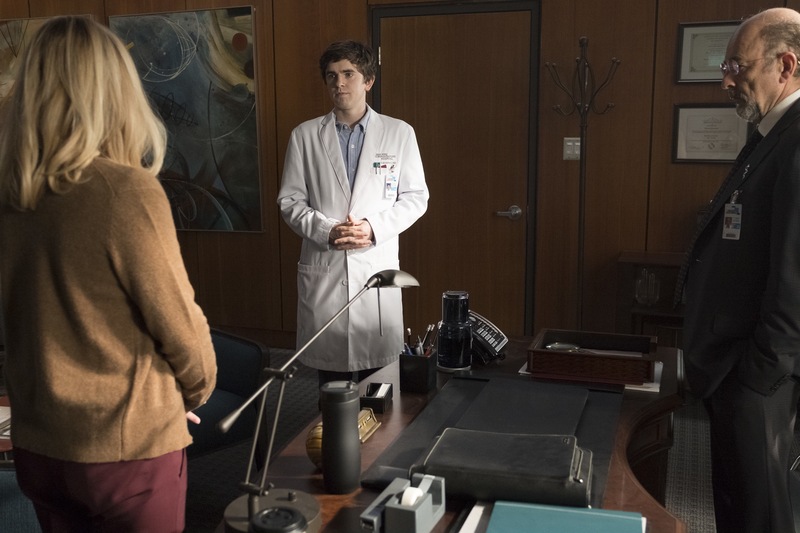 THE GOOD DOCTOR Episode 1×10 “Sacrifice” Photos: Does Shaun Need Help With His Personal Life? Episode 1×10 “Sacrifice” — Members of the hospital’s surgical team are initially impressed with a charming young doctor, but his true character puts one of them in an awkward position at work. Meanwhile, Dr. Glassman feels Dr. Shaun Murphy needs a little more support with his personal life and suggests he meet with a therapist. However, Shaun is determined to show him that he can do it on his own. “Sacrifice” was written by Lloyd Gilyard Jr. and directed by Michael Patrick Jann. Air Date: Monday, December 4, (10:00-11:00 p.m. EST), on ABC.